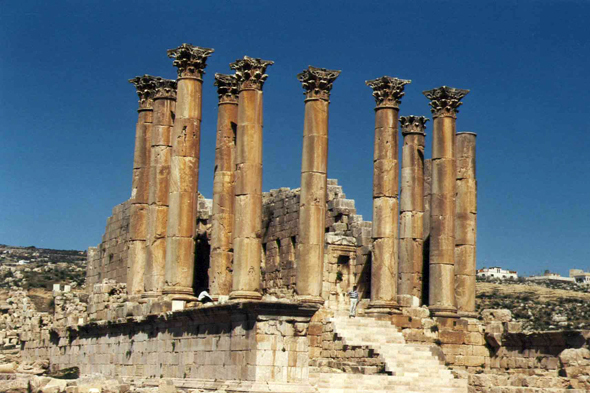 The Artemis Temple, built in the middle of the second century AD, quickly became the main temple of the city. Artemis is comparable with the Tyché (Fortune), goddess of the city. The temple is peristyle and its frontage, still decorated with its colonnade of Corinthian style, visible from whole the site, is making this temple one of the edifices the more remarkable of Jerash. The courtyard is encumbered with buildings from Byzantine time.